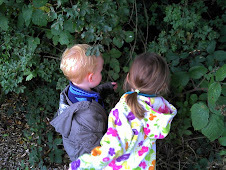 During half term we took the children camping to a lovely campsite just outside Bath (there will be more about this in another post when I have sorted through the photos ) but we were really lucky to have the opportunity to try out and keep some new camping equipment from Vango while we were there so this is what we thought. First up, is this Cedar table which was an absolute Godsend. Last time we went camping Garden Lass was just a baby, but this time she was on her feet, running about and climbing. Everything is an adventure to her and you can imagine how interested she was in all the camping equipment. Having this table to keep everything off the floor and out of reach was a massive help. Because of Garden Lass's sense of adventure we set the table up inside the tent and used it to store things, however as the children get older it will be great for sitting around to eat our sausages and mash and play cards in the evenings. The table was really easy to put together. Even I managed it very quickly despite three children 'trying to help'. One of the legs is adjustable to allow for uneven ground, which is inevitable when camping and the result was a very sturdy, practical table. When folded up it doesn't take up a lot of room, but it is quite long and we only just fit it across the width of our boot, so take measurements before you buy if you have a small car. 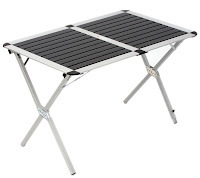 Otherwise I really couldn't fault this piece of equipment and with an RRP of £72 I think makes a brilliant to addition to a family's camping essentials. 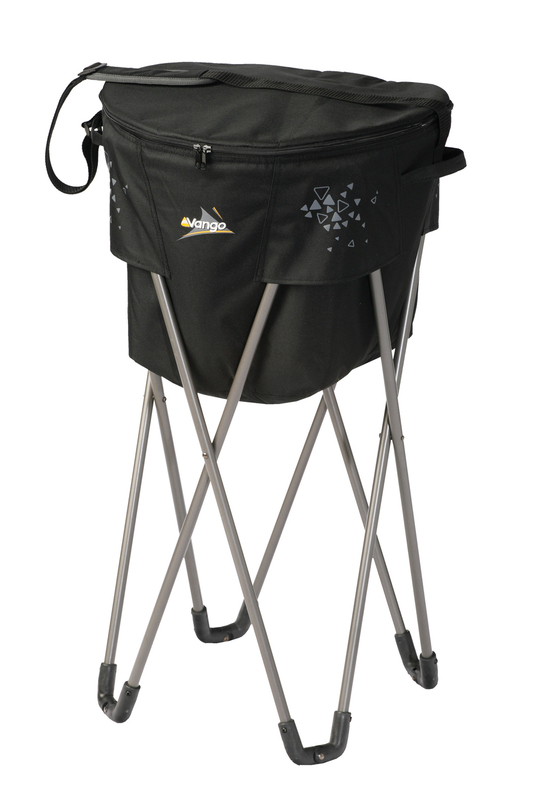 We also took along this Drinks cooler which is essentially a large cool bag, in a stand. The basic idea is that you can put ice around the edges of the cool bag, then fill it up with milk, beer or anything you want to keep cool. For us, the best bit was that it kept all the food off the floor and folded up small for transport. Unfortunately, on this particular campsite we had no means of freezing our ice packs, however on other sites this facility is provided and this is when this little gem will come into its own. A cool beer after the children have snuggled into their sleeping bags is enough to make this a must have. We have also used the drinks cooler to keep beer, wine and fizzy pop cool at barbeque's in the garden. There is never enough room in the fridge and with a couple of bags of ice from the local supermarket, this keeps your drinks cool and conveniently located outdoors so there is no need to leave the sun to refill your glass and with an RRP of just £30 we think it really is value for money. So if you are heading for the great outdoors this summer but want a little bit of luxury to make life easier and the beers cooler head over to the Vango website for more details on these items and to see their full range of camping equipment.